ABOUT: 105 John Street, 1883, 65 Beekman and Home Library from 1890; to 97-101 Reade in 1894; to 52-58 Duane in 1899. Incorporated as A. L. Burt Company 1902-1937. Albert L. Burt died December 28, 1913. The business was continued by his sons Harry, Frederick and Edward and moved "the next year"  to 114-120 East Twenty-third Street. (DLB 49). Burt was traveling leather goods salesman when he conceived idea of publishing books for use as premiums for mail order houses. Cornell Series sold at $.75 (Brief Studies). Madeleine Stern writes that Burt had been "a commercial traveler ... who 'built up a coast-to-coast staff of trade salesmen.'" (Getting Out the Books, page 79). See obituary from Publishers' Weekly. 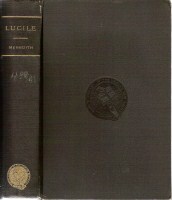 Burt appears to have printed Lucile in only one 12mo format, although frontispieces and illustrations vary. All known copies are 120-125x190-195mm and 318p. 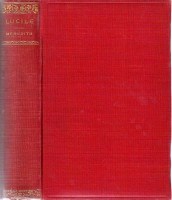 1891 PW Sep 26: Under list heading "Poetry and the Drama", Lucile, "por. 12mo, cl. $1; hf.cf. $2." 1902 United States Catalog. 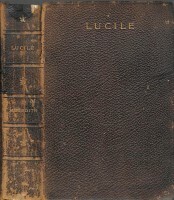 Lucile. 75c, $1, $1.50, $2. 1928 United States Catalog. 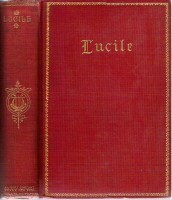 Lucile. (Cornell ser.) 75c; (Home lib.) $1.25. Almond Series (half morocco), 1896-1897; Almond Series (cloth), 1900-1902; Century Poets (full limp Grecian morocco), 1908-1910, 1912; Chiswick Series of Poets (cloth), 1908-1910, 1912; Chiswick Series of Poets (limp velvet calf), 1913-1915; Cambridge Series of Poets (cloth), 1903-1906; Cornell Series of 12mos (cloth), 1898-1915; Excelsior 12mos. (cloth), 1897; Globe Series (imitation half morocco), 1896; Grecian Padded Poets, 1910; Harvard Series of Poets (cloth), 1900-1910; Hollywood Padded Poets, 1905-1907; Home Library (cloth), 1891-1938; Laurel Series of Poets (cloth), 1899; Lotus Series of Classics (3/4 levant), 1894; Lotus Series (half morocco), 1898-1900; Magnolia Padded Poets, 1908-1909; Magnolia Series (cloth), 1893-1894; Manhattan 12mos. 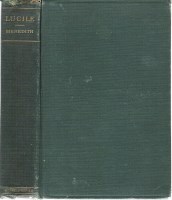 (cloth), 1900; Mayflower Series (full morocco), 1894; Mayflower Series (extra cloth), 1898-1899; Montauk Library (cloth), 1898-1899; Padded Edition of Poets, 1900-1915; Primrose Series (half morocco), 1896; Primrose Series (extra cloth), 1897, 1900-1907; Stratford Series of Poets (full limp morocco), 1901-1913; World's Best Books (cloth), 1891-1897; World's Best Books (half calf), 1891-1904; Yale Series of Poets (cloth), 1894-1899. CLOTH: Almond Series, 1900-1902; Chiswick Series of Poets, 1908-1910, 1912; Cambridge Series of Poets, 1903-1906; Cornell Series of 12mos, 1898-1915; Excelsior 12mos., 1897; Globe Series (imitation half morocco), 1896; Harvard Series of Poets, 1900-1910; Home Library, 1891-1938; Laurel Series of Poets, 1899; Magnolia Series, 1893-1894; Manhattan 12mos, 1900; Mayflower Series, 1898-1899; Montauk Library, 1898-1899; Primrose Series, 1897, 1900-1907; World's Best Books, 1891-1897; Yale Series of Poets, 1894-1899. FULL LEATHER: Century Poets (full limp Grecian morocco), 1908-1910, 1912; Chiswick Series of Poets (limp velvet calf), 1913-1915; Mayflower Series (full morocco), 1894; Stratford Series of Poets (full limp morocco), 1901-1913. 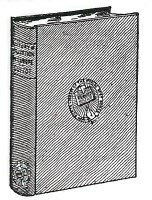 HALF LEATHER: Almond Series (half morocco), 1896-1897; Lotus Series of Classics (3/4 levant), 1894; Lotus Series (half morocco), 1898-1900; Primrose Series (half morocco), 1896; World's Best Books (half calf), 1891-1904. Editions in This Inventory Are Arranged in Alphabetical Order by Series Name. The Almond Series. 1896-1897 PTLA: 45 titles, Half Morocco, Gilt Top, Illustrated. Price $1.50. Net. (Cut). 1900-1902 PTLA: Full Gold Side and Back. Gilt Tops. Uniform Binding. Extra Ilustrated. Comprising 32 titles, including all the popular English and American Poets. Printed from new large type plates and bound in ornamental cloth, with full gold side and back stamps. Gilt Tops and extra illustrated. [Quote from Lowell]. Price, $1.50 per Volume. Net. (Cut). The Cambridge Series of Poets. 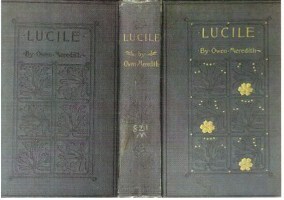 1903-1906 PTLA: Extra gold ornamented covers, full gilt edge, five page illustrations to each volume. Comprising 16 titles, including all the popular English and American Poets. Printed from new large type plates and bound in ornamental cloth, with full gold side and back stamps. 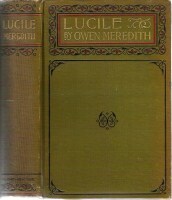 Full Gilt Edge and extra illustrated. [Quote from Lowell]. Price, $1.50 per Volume. Net... (Cut). The Century Poets. 1908-1910, 1912 PTLA: Full Limp Grecian Morocco. Initial Titles. Round Corners. Full Gilt Edges. Profusely illustrated. Each in a box. Price, $2.50 Per Volume. 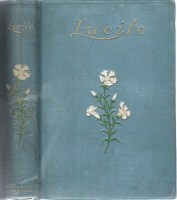 Net... [cut of binding; Lucile with five illustrations]. The Chiswick Series of Poets. 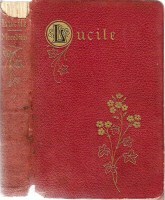 1908-1910, 1912 PTLA: Printed on Extra Super Paper and Bound in Extra Cloth, with Special Ornamental Design and Full Gilt Edge. Price, $1.50 Per Volume. 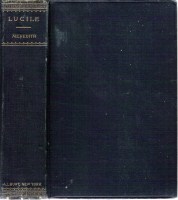 Net... [cut of binding; Lucile with five illustrations]. 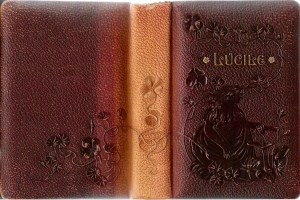 1913 PTLA: Printed on Extra Super Paper, Handsomely Illustrated and Bound in Full Limp Velvet Calf Leather. Price, $1.50 Per Volume. Net. 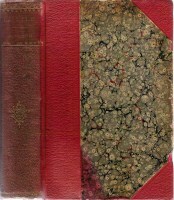 [cut of binding]. The Cornell Series of 12mos.. CORNELL SERIES is stamped gold at foot of spine, title and author at top of spine. 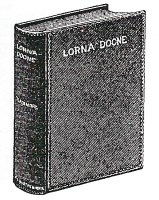 1898 PTLA: Uniform Cloth Binding. Gilt Tops. Comprising one hundred and sixty titles of Standard Works. Printed from large type on good paper and bound in uniform cloth binding. Price 75 cents per Copy. Net... (Cut). 1899 PTLA: 165 titles... as 1898. 1900 PTLA: 188 titles... as 1899. 1901 PTLA: 202 titles... as 1900. 1903 PTLA: 300 titles... as 1902. 1904 PTLA: 375 titles... as 1903. 1905-1907 PTLA: 405 titles... as 1904. The Excelsior 12mos. 1897 PTLA: 100 Titles. Uniform cloth binding. A splendid selection of One Hundred Titles of Standard Works, embracing Essays, Poetry, History, Fiction, Travel, etc., by authors of world-wide reputation. Price 50 cents. Net. (Cut). The Globe Series. 1896 PTLA: 80 volumes, Imitation Half Morocco Bindings, Gilt Top, Fancy Paper Sides. Price $1.00. Net. (Cut). Grecian Padded Poets. 1910 PTLA: Handsome, special embossed, padded bindings. Full gilt edges. Each book in a box. Comprising 18 titles, including the most popular American and English poets, printed from clear type on good paper. Price, $1.00 per Volume. Net... (Cut). The Harvard Series of Poets. 1900 PTLA: Comprising 44 titles, including all the popular English and American Poets. Printed from new large type plates and bound in handsome cloth binding. 12mo. [Quote from Carlyle]. Price, 75 cents per Volume. Net... (Cut). 1901-1910 PTLA: 50 titles... as 1900. Hollywood Padded Poets. 1905-1907 PTLA: Bound in Handsome, Padded Leather. Full gilt edges, round corners. Each book in a box. Comprising 30 titles, including the most popular American and English Poets, printed from large, clear type, on good paper. 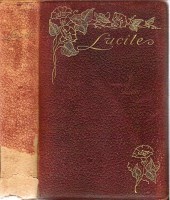 Bound in padded leather covers, with ornamental gold titles. Price, $1.25 per volume. Net... (Cut). Burt's Home Library. 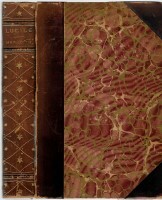 Bound in full cloth (typically maroon), spine title in gold and otherwise undecorated. 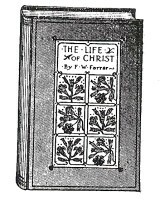 No illustrations except a frontispiece (which varies). 1891 PTLA: Uniform in binding. Cloth, price 75 cents per copy. 1892 PTLA: Cloth, price 75 cents. Net. 1894 PTLA: as 1893. 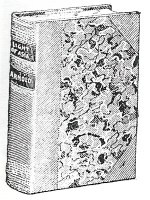 250 volumes. Uniform cloth binding. 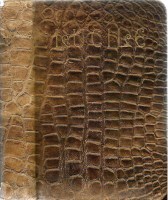 (Cut showing simulated half leather). 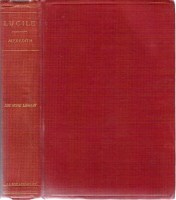 1895 PTLA: 285 volumes. Uniform cloth binding. Price, 75 cents. Net. (Cut as 1894). 1896 PTLA: 310 volumes.... (as 1895). 1897 PTLA: 330 volumes.... (as 1896). 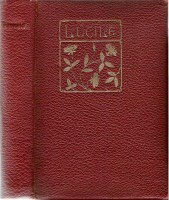 1898 PTLA: Uniform cloth binding. Gilt Tops. 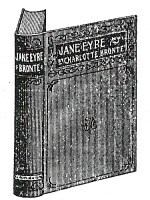 Comprising three hundred and fifty-five titles of standard works, embracing fiction, essays, poetry, history, travel, etc., selected from the world's best literature, written by authors of world-wide reputation. 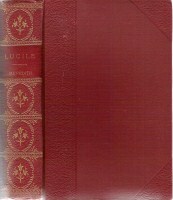 Printed from large type, on good paper, and bound in handsome uniform cloth binding. Price $1.00 per copy. Net. (Cut). 1899 PTLA: 365 titles... as 1898. 1900 PTLA: 408 titles... as 1899. 1901 PTLA: 412 titles... as 1900. 1902 PTLA: 455 titles... as 1901. 1903 PTLA: 485 titles... as 1902. 1904-1918 PTLA: 500 titles... as 1903. 1919-1927 PTLA: as 1918... 500 titles... price $1.25. 1932 PTLA: as 1931... "Comprising a great many titles..."
1933 PTLA: as 1932... Price $1.00. (No cut). 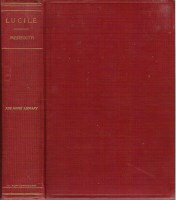 1937 PTLA: Burt Books are sold to Blue Ribbon Books. 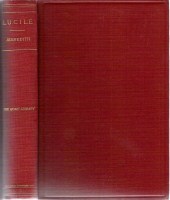 "Burt's Home Library, offering the world's classics at a popular price. The list embraces essays, fiction, poetry, history, travel, biography, science by authors of enduring international reputation. Printed in large type on good paper and bound in handsome cloth. Size 5 1/4 x 7 1/2. Price $1.00 each." 1938 PTLA: as 1937. 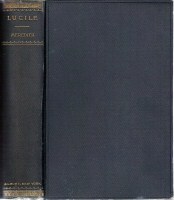 The last of Lucile before its 1990s resurrection in electronic and Print-on-Demand editons! Known Home Library copies not assigned by date: NL 0594659: Harvard, 19-- The Home Library. The Laurel Series of Poets. 1899 PTLA: Special Ornamental Cover in Gold. Cloth. Gilt Tops. Extra Illustrated. Price $1.50 Net. (Cut). The Lotus Series of Classics. 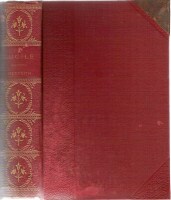 1894 PTLA: 3-4 levant, illustrated, gilt tops. Price, per volume, $4.00. Net. (Cut). 1898-1900 PTLA: 56 Titles. Half Morocco. Gilt Top. Illustrated. Price $1.50. Net. (Cut). Magnolia Padded Poets. 1908-1909 PTLA: Bound in Special Embossed Padded Leather. Full Gilt Edges, Round Corners. Each Book in a Box. Comprising 30 titles, including the most popular American and English Poets, printed from large, clear type, on good paper. 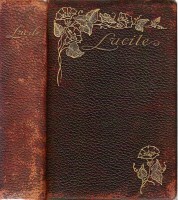 Bound in Special Embossed Leather in colors, with gold titles. Price, $1.25 per volume. Net... [cut of binding]. The Magnolia Series. 1893-1894 PTLA: Cloth, full gilt, extra illustrated. Price $1.50, net. (Cut). The Manhattan 12mos. 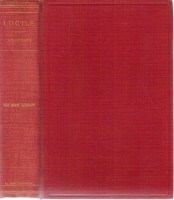 1900 PTLA: 110 Volumes. Extra Cloth, Gold Titles. Ornamental Side Stamps, Gilt Tops. Price, $1.00 per Volume. Net. (Cut). The Mayflower Series. 1894 PTLA: Full morocco, extra illustrated, gilt edges, round corners. Pric e $2.50. Net. (Cut). 1898-1899 PTLA: 50 Titles. Extra Cloth. Gilt Top. Extra Illustrated. Price $1.50. Net. (Cut). The Montauk Library. 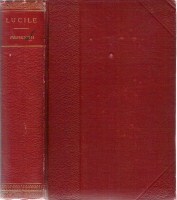 1898-1899 PTLA: 100 volumes. Uniform Cloth Binding. Gilt Tops. Price $1.00 Net. (Cut). 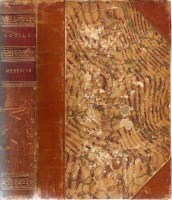 Burt's Padded Edition of Poets. 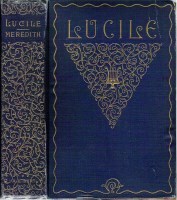 1900 PTLA: Bound in embossed padded leather, full gilt edges and boxed. Comprising 43 titles, including all the popular English and American Poets. These volumes are printed from large, clear type, on extra quality of paper. They are bound in padded or cushioned leather cover, with handsome embossed design on each, Full Gilt Edges, and Round Corners. Each volume is boxed separately. 12mo. Price, $1.50 per Volume. Net... (Cut). 1901-1902 PTLA: 49 titles... as 1900. 1907-1914 PTLA: Burt's Padded Poets. [description as above]. 1915-1916 PTLA: [several titles dropped]. 1917 PTLA: [Price goes to $2.00]. The Primrose Series. 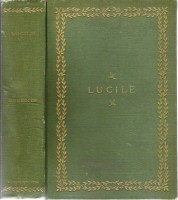 1896 PTLA: 45 titles, Extra Cloth, Gilt Top, Illustrated. Price $1.50. Net. (Cut). 1900 PTLA: Comprising 44 titles, including all the popular English and American Poets. Printed from new large type plates and bound with Gilt Tops in handsome cloth binding. 12mo. [Quote from Emerson]. Price, $1.00 per Volume. Net... (Cut). 1901-1903 PTLA: 50 titles... as 1900. 1904-1907 PTLA: 52 titles... as 1900. The Stratford Series of Poets. 1901-1902 PTLA: Full limp morocco. Round corners. Full Gilt Edges. Extra illustrated. Comprising 18 authors, carefully printed on fine paper from new electrotype plates, bound in full limp morocco, with round corners and full gilt edges, with handsome gold designs on cover and extra illustrated. Each volume boxed separately. [Quote from Carlyle]. Price, $2.00 per Volume. Net... (Cut). 1903-1904 PTLA: Full limp morocco. Inlaid initial. Round corners. Full gilt edges. Extra illustrated. Price, $2.00 per Volume. Net... (Cut). 1905 PTLA: Full limp morocco. Ornamental inlaid covrs. Round corners. Full gilt edges. Five page illustrations to each volume. Price, $2.00 per Volume. Net... (Cut; differs from 1904). 1906-1913 PTLA: The New Stratford Poets. [Described as above; cut below from 1908 PTLA]. Burt's Library of the World's Best Books. All are 12mos, about 125-130x190- 200mm, 218p. 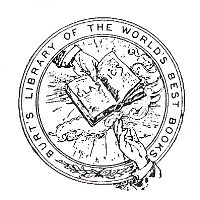 Titlepage has "Burt's Library of the World's Best Books" in a gothic face at top, same text in a medallion lower on page. Medallion is stamped gold on spine, blind on top board. 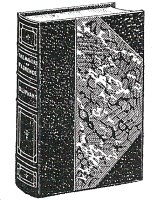 1891 PTLA: A series which will include the standard works of the world's literature. The books will be neatly and durably bound, printed on good paper, in large, clear type, uniform in all respects with this volume. The text will be in every case thoroughly reliable and unabridged, hence meeting equally the needs of the student and general reader. Indexes, biographical sketches and explanatory notes will be given where these are likely to prove of value and interest. All who have at heart the best interest of literature, and would further the spread of a taste for the world's classics, will welcome the appearance of this series, which will place a complete, rich and uniform library of the highest character within the reach of all... Uniform in price, size and binding. Cloth, gilt top, price $1.00. Also offered in half calf, marbled, $2.00. 1892 PTLA: Cloth, gilt top, price $1.00. Half calf, $1.50. 1893 PTLA: ... Half calf, $2.00. 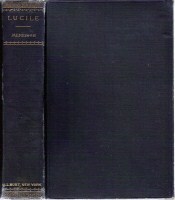 (Cut show series logo at foot of spine and centered on top board). 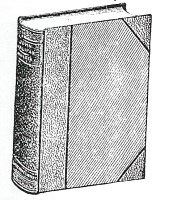 1894 PTLA: as 1893; Half Calf binding is separately listed, with its own cut. 1895 PTLA: as 1894. Half calf not mentioned. 1896 PTLA: as 1893; half calf listed separately. 1897 PTLA: as 1896, with new cut. 1898-1899 PTLA: only half calf series is offered.Same cut as 1887. 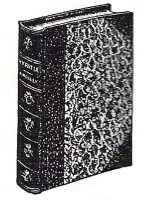 1900 PTLA: Burt's Half-Calf Series of the Poets. Half Calf. Illustrated. Comprising 42 titles, including all the popular English and American poets. These volumes are printed from large, clear type, on extra quality of paper. They are bound in half calf, gold-veined paper sides, and Gilt Tops. Illustrated. 12mo. (Quote from Holmes: Poets are never young in one sense. Their delicate ear hears the far off whispers of eternity, which coarser souls must travel towards for scores of years before their dull sense is touched by them. A moment's insight is sometimes worth a life's experience.) Price $2.00 per volume. Net. (New Cut). 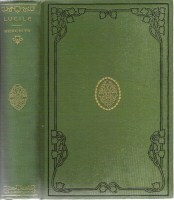 1903 PTLA: Half Calf Series of the World's Best Books. A series of standard works, written by the most celebrated authors, bound in half calf, gold veined side paper, with gilt tops. Half Calf. Gilt Tops. Price, $2.00. Net. (Cut as 1899). 1904 PTLA: ... Half Calf, Gilt Tops; Price $2.00. Net. (Cut as 1899). The Yale Series of Poets. 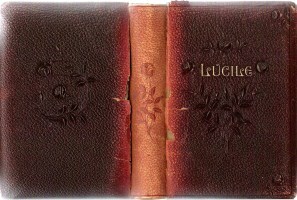 1894-1896 PTLA: Uniform cloth binding. Price $1.00. Net. (Cut). 1897-1899 PTLA: Uniform cloth binding, Gilt Top. Price $1.00. Net. (Cut).